The Topaz Plug-in Bundle helps amateur and professional photographers accomplish the most common creative and corrective post processing tasks. With 10 powerful and easy-to-use programs, users can quickly enhance their digital images with flexible adjustments that are easy to apply and customize - and often in just 1-click! 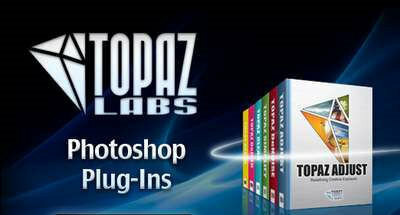 Topaz Photoshop Bundle 2013 - is a set of powerful plug-ins from the renowned company Topaz Labs for Adobe Photoshop CS3 - CS6, as well as Photoshop Elements 6 and above. Plug-ins are designed to get the perfect image for you, simulating oil painting and watercolors, reduce noise, separate the object from the background and association with other images, sharpening, contrast, brightness, color, and for the application of different stunning effects and more.